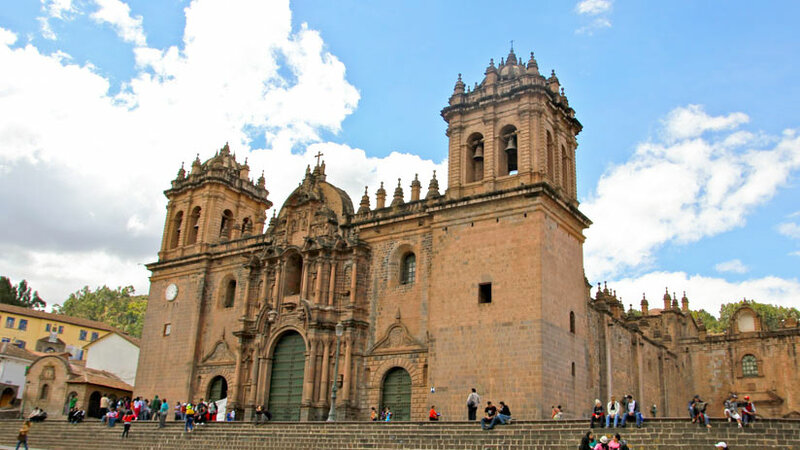 A trip to Cusco in the Southern Andes of Peru should be on everybody’s bucket list, the city is filled with beautiful churches, Inca ruins and cobblestone streets. Did you know that in Cusco there is a free walking tour Cusco Peru? 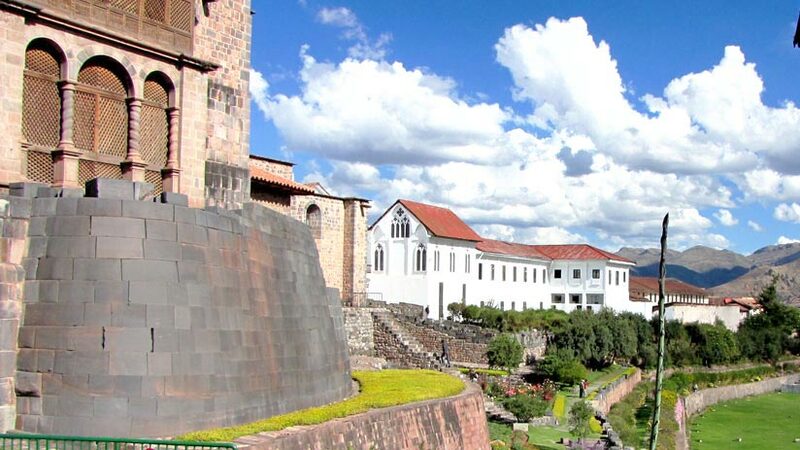 That is right it is free, and leaves every day for you to enjoy and learn about the fabulous Inca City of Cusco. Travel to Cusco is easy with many flights leaving daily from the capital Lima. The flight takes around 1 hours and passes over the wonderful Andes mountain range before landing in the valley where the imperial Inca city is located. Once you have arrived and transferred to your hotel, preferably in the center of the city close to the main square, called the Plaza de Armes, give yourself the rest of the day to acclimatize to the altitude. It is also advisable to drink of water, no alcohol and do not each large meals for the first day or two when you arrive into Cusco. Most hotels have oxygen tanks in the receptions if you feel that you are having trouble breathing. 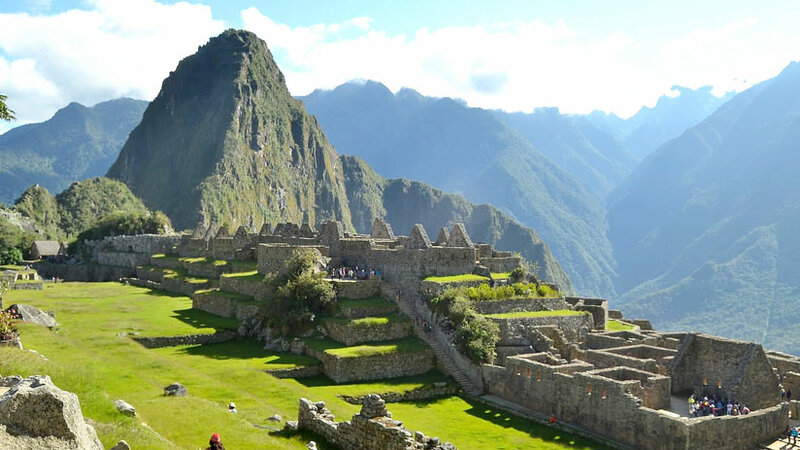 Your Peru vacation would not be complete also without a trip to the famous Inca citadel of Machu Picchu, located around 4 hours from Cusco by train. The journey to Machu Picchu is an experience in itself. Passing through the picture perfect Sacred Valley of the Inca´s, the scenery is truly spectacular. A trip to the Sacred Valley and Machu Picchu are essential on any visit to the Cusco area. 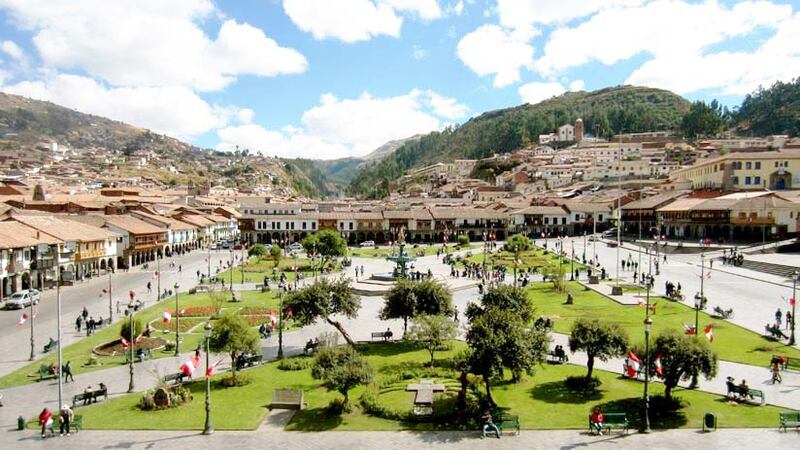 Cusco Peru tourism attracts many thousands of people each year, the city has great infrastructure for tourism. You are spoilt for choice when it comes to Hotels, Tours, Restaurants and bars, with something for all budgets from the inexpensive to five star luxury. The choice of tour agencies is mind boggling, but it is also a great idea to have something organized before you arrive especially in high season. You will pay more for everything in the high season so book in advance to get a room and the tours that you want. 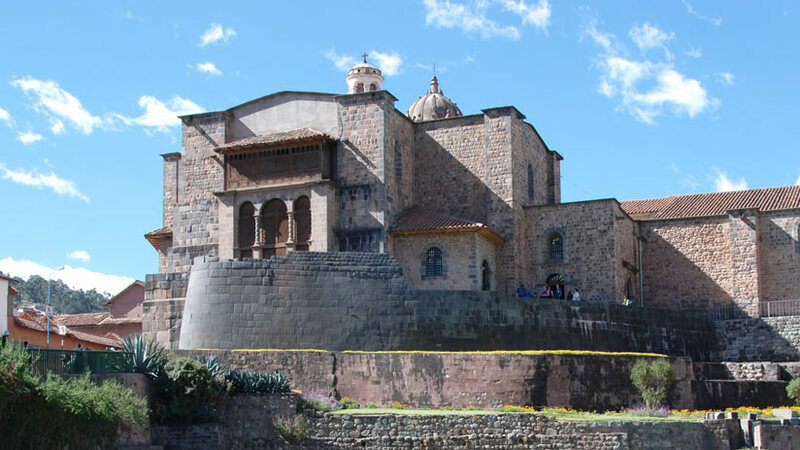 Most things in Cusco will cost you as in any tourist area anywhere in the world, but there is a service in Cusco that will not cost you anything. Starting at the Plaza Rococijo, two blocks from the main square, at 1020am, is a free walking tour. You may make reservations if you wish online but most just show up and look for the people with the green jackets and flags; they will take you on your Cusco city tour. 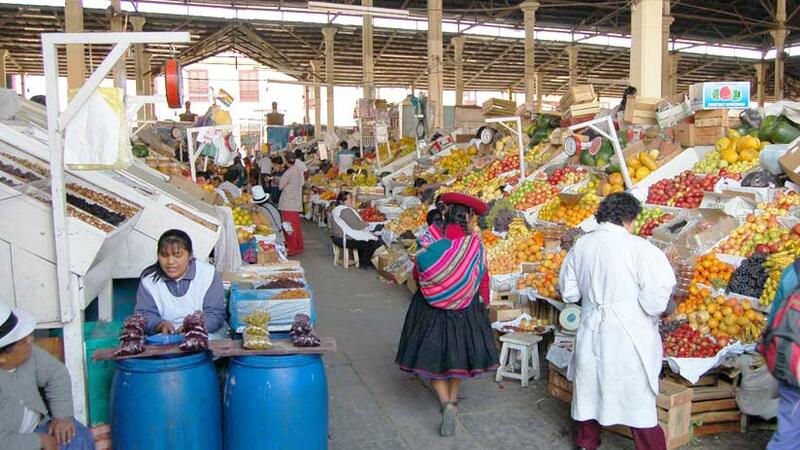 The tour starts as you head for San Pedro market, a local market selling everything from fruits and vegetables, you will get to taste some different fruits, like custard apples and passionfruit. Handicraft which is a little cheaper than the main square, flowers the array of colors is truly breathtaking and a section where you can have a ´menu´ which is a meal consisting mainly of soup and a second at an extremely cheap price. Another section is where you can buy fresh fruit juice, a delicious mix of any fruit you wish. From the market, head back to the main square and see the beautiful churches and the guide will explain to you about the history of the plaza. From the plaza head up a very steep set of stairs to San Blas, which features a main square and a lovely old church with one of the most beautiful alters you will ever see. San Blas has a large population of travelers trying to sell you their wares to pay for their travels. From San Blas head back to the plaza and down the main commercial street in Cusco, called Avenida Sol, here you will find banks and money changes. The Justice Palace is located also on Avenida Sol and is an imposing white building that stands on nearly a whole block. Further down the avenue is Korichanca, a must see on any Cusco city tour. Korichanca was a large Inka temple used for many grand ceremonies in the Inca Times. When the Spanish arrived, they dismantled most of the temple and built the Santa Domingo church on top of the ruins. The beautiful Spanish colonial building is filled with colonial art and houses a museum you must see. The free walking tour is full of history and useful tips for your time in Cusco, the guides are very informative and love what they do. Feel free to ask any questions and they will answer with pleasure. At the end of the tour, you may give a tip; the tours generally take around 3 hours so a tip is necessary. How much you give depends on the service you think that you received. Take a free walking tour as part of your Cusco and Peru experience. Cusco Peru travel awaits you, so if you have always dreamed of traveling to Peru why not book a tour today and experience all this fabulous country has to offer, we are waiting for you. Travel To Peru culture, cusco. permalink.